....Meanwhile, out at sea U-331 waited all night for the party to make themselves known again the following night but at daybreak abandoned hope and proceeded towards Sollum. Between 18 and 25 November U-331 carried out the second half of its mission, patrolling off the North African coast in the neighbourhood of Sollum and Mersa Matruh. The U-boat remained submerged during the day and surfaced during the night. 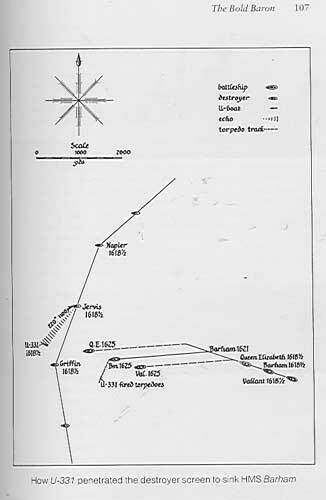 At the time Tobruk was being held by the Allies although surrounded by enemy forces and the U-boat was ordered to prevent any supplies reaching the garrison by sea. The supplies had been arriving from Alexandria in small, heavily protected convoys but all U-331 saw every time it gingerly surfaced during the day was aircraft, which forced it down again. At 0800 on 25 November the faint sound of propellers in a northerly direction was picked up by the operator on the hydrophone aboard the U-boat. The commander ordered the boat to periscope depth and cautiously swept round the horizon, making sure first of all that there were no aircraft around that could pick up the U-boat on radar or see the feather wake caused by the periscope. The surface of the sea was empty, the commander could see nothing. He surfaced, saw an aircraft nearby and crash dived right away. There were no bombs but in that short moment he had also searched the horizon in the direction where the propellers had last been heard. Nothing could be seen. The U-boat was ordered down again to 50 metres, which was considered to be the best depth for HE listening, so as to check up on the sounds. The U-boat carried on the hunt under water and its commander carries on with the story: After the first unsuccessful surfacing, the boat staved submerged until shortly after noon. Then there were two aircraft; the first one at a safe distance but later a second approached too close for the U-boat to stay on the surface. The wide band of faint propeller noises was now in a north-easterly direction. We didn't stay down too long and after surfacing again we proceeded in the direction of the last bearing with high speed, but still nothing could be seen for some time. Suddenly a yellowish thickening over the horizon was made out and some needlelike masts could be distinguished. This group of ships moved in a southerly direction and then seemed to disappear to the east altogether, only to grow again after turning west. It became quite clear that this was a fleet of warships. We approached each other on a reciprocal course and from now on things happened in a rather quick succession; By some inexplicably intuitive order the boat turned around full circle and dived. This delay later turned out to be crucial There were three battleships steaming west in a line ahead formation with a protective screen of eight destroyers. The three were Queen Elizabeth class ships but it was not possible to establish names. n the U-boat the crew had closed up to full action stations. The time was range 900 yards. Because the extensive target was between 40 and 60 degrees he considered it to he 'non-sub' kind told the AIS cabinet to disregard and carry on the sweep by which time the range was 400-500 yards on the port beam. It was thought that the echo must have been some form of water layer or difference in temperature of water found on warm days. The U-boat slipped through between Jervis and Griffin at periscope depth and was now on the port side of the first battleship. Unsuspectingly Queen Elizabeth had led her two sister-ships directly toward the submerged' U-boat and von Tiesenhausen could hardly have found himself in a better position to attack. He saw flags at the yard-arm of the battleships, which obviously heralded a change in formation. The U-boat found itself on the port side of the battleships. The first was already too close as it took up more space than the periscope's field of vision could accommodate. 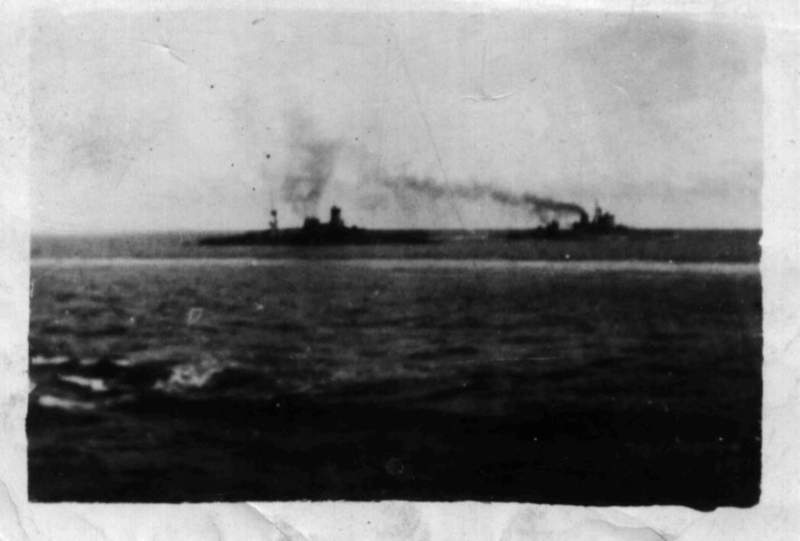 Then the second battleship in line, Barham, appeared. A quick glance showed the prospective target growing bigger and bigger in the cross-wires. The torpedo men were ready but the angle of over 90 degrees was still too great. The forward torpedo room reported 'Hartlage', to be abandoned quickly; Ohcrsteuermann \Valrher closed the watertight hatch. After having been visible on the surface for 45 seconds and disappearing only 30 yards off the starboard side of Valiant, too close even to be hit by pom-pom fire, U-331 submerged down deep into the dark safety of the sea. The expected ramming never happened. 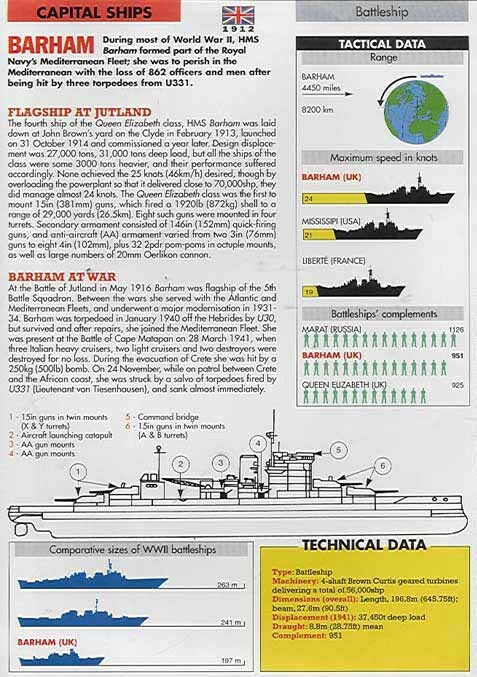 Up top the captain of Valiant recorded: At 1625 the officer of the watch was taking the distance of Barham when he observed a large explosion on the port side of the battleship abreast the mainmast. 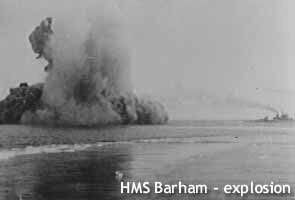 He realized immediately that Barham had been struck by a torpedo fired from somewhere on the port side and quite correctly ordered 'Hard-a-port'. 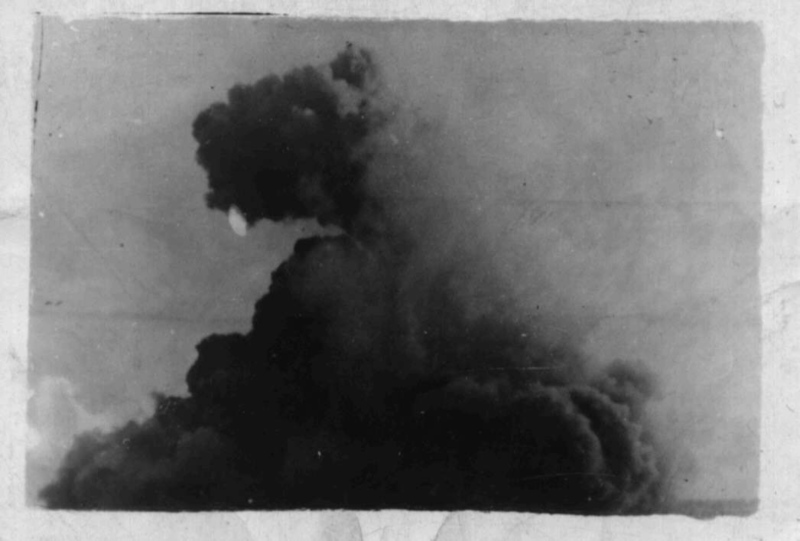 I was not on the compass platform at the moment of the explosion, but on reaching the front of it ten seconds later, I observed a very large, column of water and smoke alongside Barham, only the after end of the quarterdeck being then visible. I immediately ordered 'Full speed ahead together'; at the same time the officer of the watch informed me that the wheel was hard-a-port, and I observed that the ship was just beginning to swing to port under the influence of full port rudder. About fifteen seconds later a U-boat broke the surface between five and ten degrees on the port how at a distance of approximately 150 yards and moving from left to right. By then Valiant had swung about eight degrees to port ... I ordered 'Amidships', and then 'hard-a-starboard' in an endeavour to ram the U-boat, but before the rudder was hard over it was obvious that it would not be possible to check the swing to port before it was across the bow. 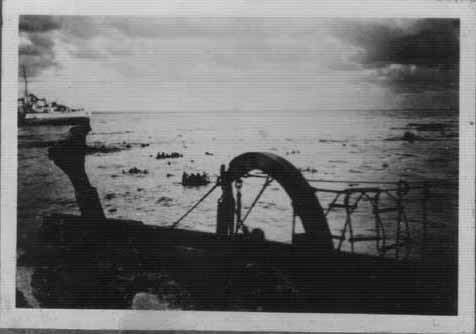 Actually the swing was just about checked when the U-boat passed down the starboard side, and submerged again when abreast Valiant's bridge at a distance of about fifty yards. As it appeared on the starboard side a pom-pom fired 19 rounds at it with the maximum depression, but all rounds appeared to pass over. The wheel was then again reversed so as to keep clear of Barham. The only portion of the U-boat which appeared was the periscope and about two to three feet of the conning tower which was flat-topped. A certain amount of disturbed water before and abaft the conning tower indicated the fore and after ends of the hull, and enabled an accurate estimate of its course to be made. 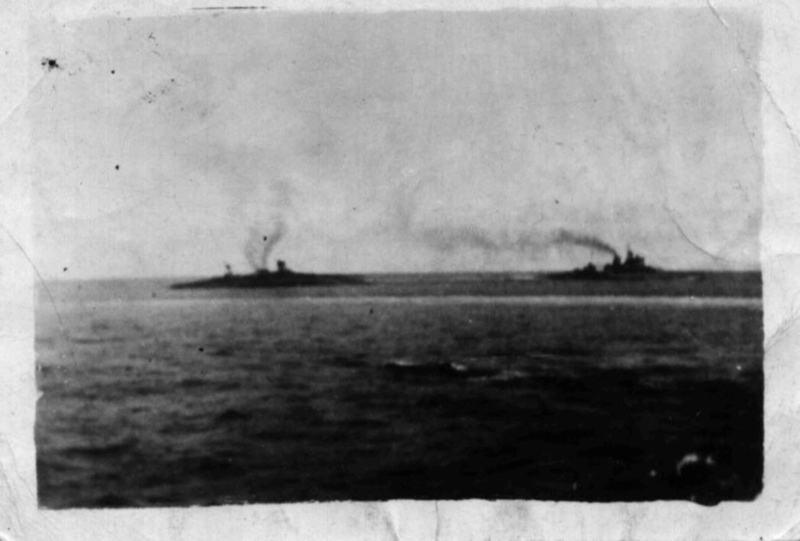 The battleships had just come into line abreast, as part of their zig-zag and this put Barham immediately abreast of us, about two cable lengths distant. I then saw a huge column of water rise abreast Barhain's forward turrets; and I thought it was a bomb dropped without any air-raid warning. I changed my mind when I saw a couple more huge water spouts along her side and realised that they were torpedo hits. I immediately closed the port, but before I had pulled the dead light down Barham was completely on her port side with her funnel touching the water. I went quickly up on to the upper deck, and as I looked at Barham there was a terrific explosion and I thought that obviously a magazine had gone up. I actually saw a twin 4-inch AA gun hundreds of feet up in the air and then bits and pieces began falling all around us. Probably as the result of having fired a salvo of torpedoes the conning tower of the U-boat shot up quite close to our bows and one of the forward pom-poms opened up on it but couldn't depress enough to obtain any hits. I don't ~know what action was taken to try and catch the U-boat, but~ fortunately no depth charges were dropped otherwise the casualty list would have been worse. 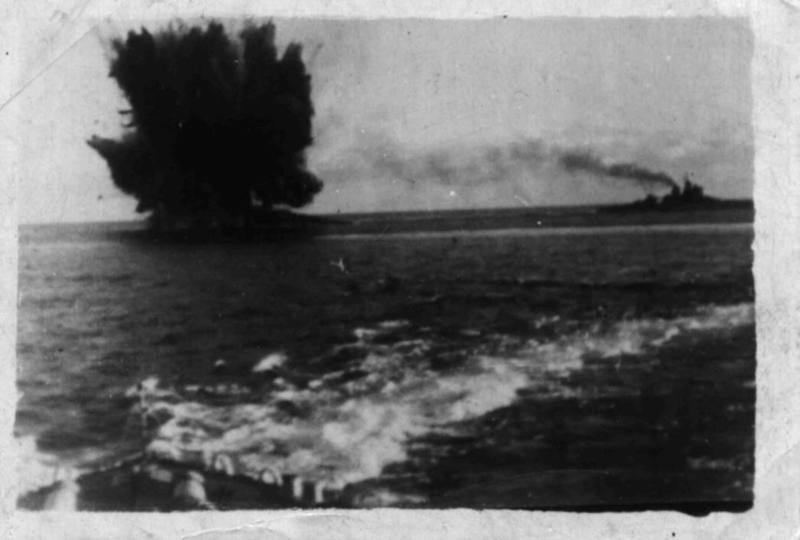 Meanwhile, down below, the U-boat began sinking like a brick, three detonations were heard, and shortly afte~wards a fourth; these were incidental at this time to the U-boatmen, hut at least they knew a target had been hit. The elation turned to tension at the speed of the rapid descent of the Emden-built boat, loose articles crashed about and the needle of the depth gauge registered increasing depths. At 70 metres there was a slow down and an evening out at 80 metres. However, since the boat was bow heavy and the screws were still turning, U-331 continued to go deeper. Going deeper gave the U-boat a better chance of escaping the explosions of depth charges, the crew were mystified why none had so far rained down on them. 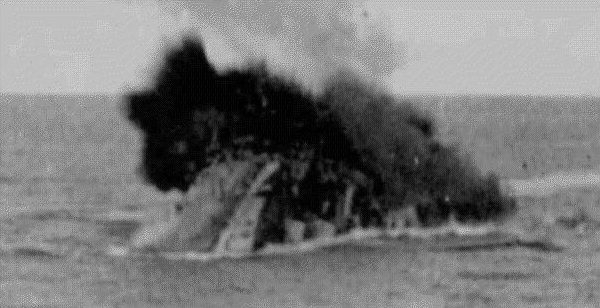 The U-boat continued plummeting toward the bottom; it was indeed fortunate for the crew that they were in deep water, otherwise they would have been in deep trouble. The forward depth gauge showed 265 metres and the commander knew this was the deepest any U-boat in action had ever recorded and survived to make the claim. The U-boat was designed for a depth of 150 metres, but with a safety factor of 2.5. The commander continues: Finally compressed air blew water out of the tanks and the involuntary descent was halted. The boat was brought up higher, but still was 150 metres below the surface. This experience gave the crew great confidence in the structure of the boat. 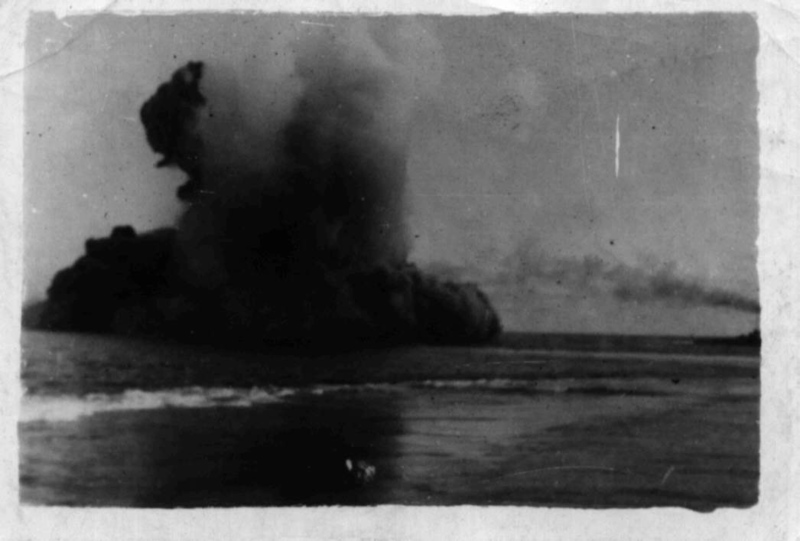 No damage was found, although the temporary deformation of the hull at such tremendous pressure - 26 kilograms on ever~ square centimetre - caused sparks at the propeller shafts. Slowly the boat rose as it crept away northward. As soon as he felt certain that he was clear von Tiesenhausen signalled his success and his intention of returning to Salamis. He arrived on 3 December. 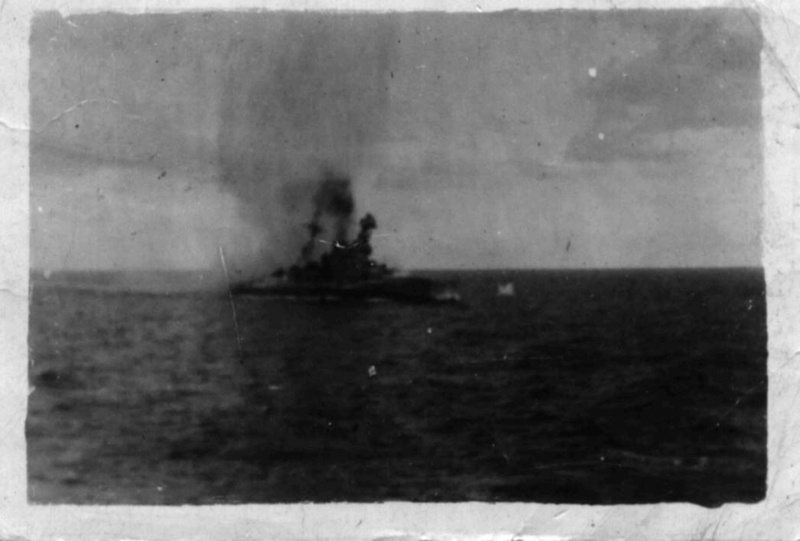 His report of the attack was not over-optimistic and on the following day the German radio reported that a U-boat commanded by von Tiesenhausen had attacked a British battleship off Sollum, scoring a direct hit with one torpedo. After putting ashore at the Greek port the commander went to Berlin but found that the secret had been kept so well that the authorities there were as much in the dark as he was. On 16 December he broadcast a description of the attack but, denied the full enjoyment of his achievement, could only say that he had certainly hit the battleship.